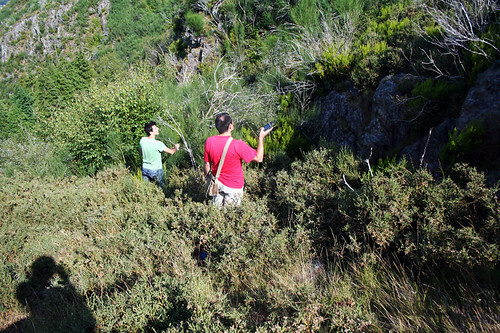 in portugal though, there are tons of caches, hidden a bit everywhere, so there are really no excuses not to go find them. 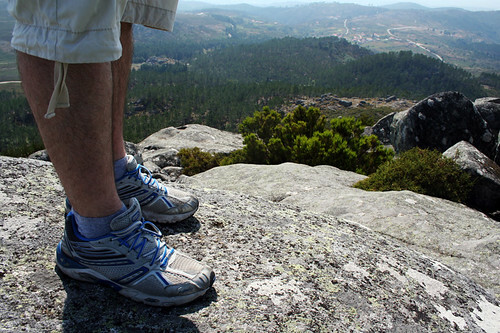 i especially enjoy the ones that take us to far away places, make us climb rocky hills or wander around in the middle of bushes that scratch our knees… or discover strange geological phenomena or some little known historical fact. 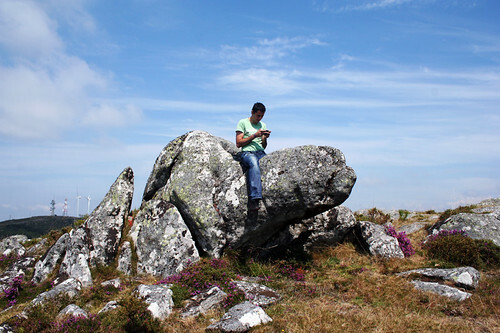 joão checks his gps coordinates sitting on a... turtle rock? "that way!" "no! down there!" 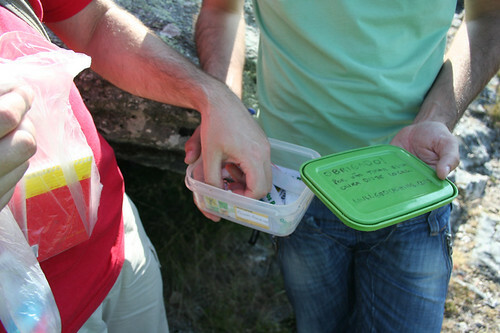 it’s fun, there are caches everywhere, and it makes another great excuse for a roadtrip! :) who knows what you’ll find?